Ong Say Lin, one of our 3rd-year life science undergraduates was in Laos PDR for the signing ceremony of the Memorandum of Understanding between the Animal Concerns Research and Education Society (Singapore) (ACRES) and Laos Zoo for the establishment of the first Wildlife Rescue and Education Centre there. You can read all the news reports on WildSingaporeNews. Say Lin and Louis in Laos PDR. Photo by ACRES. Say Lin is completing his third year this semester (including his wild boar UROPS) and after a reservist stint with the Singapore Armed Forces, will be on his way to Laos to take up his duties to setup the wildlife rescue centre there. During his undergraduate years, Say Lin interned at the Bornean Sun Bear Conservation Centre (BSBCC), minored in Environmental Biology with University of Toronto, interned at The American Bear Association’s Vince Shute Wildlife Sanctuary, resuscitated NUS PEACE, spoke up at and later eventually chaired sessions at the Animal Welfare Symposium. He follows in proud footsteps – his boss at ACRES, Louis Ng, is a biology graduate too and presented at the Biodiversity & Ecology Journal Club way back in 2002, when he was still a student. He spoke out for animal welfare, started ACRES and has kept it going and motivated others all these years. Congratulations Say Lin, we are all proud of you and will look forward to your updates! Students who are interested in helping out at the ACRES Laos PDR can contact Say Lin at saylin.ong@gmail.com. See “Where is pigboy? !” By N. Sivasothi. Otterman speaks…, 30 Mar 2012. When not lurking the corridors of the department, Nalini Puniamoorthy is a doctoral candidate at the Institute of Evolutionary Biology and Environmental Studies at University of Zurich. 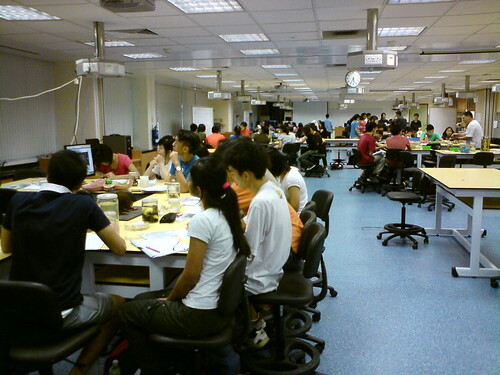 “LS Lab 7 will be closed from 16 April 2012 to early Aug 2012. It is being use to store LS Lab 1 & 2 equipment and consumables as both will labs will be renovated during the holiday period. It’s time to frantically relocate sessions scheduled during this period *groan* – so far this has included IBO, ICCS, Toddycats training and workshops and a hastily dumped idead about hosting Educamp SG. 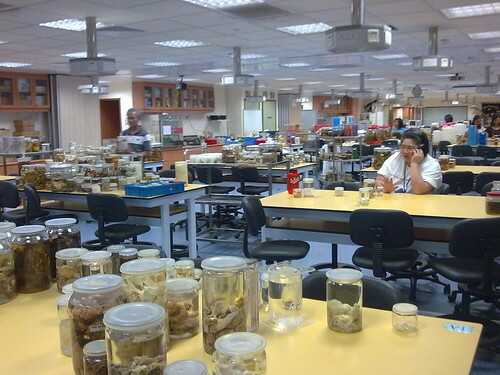 In preparation for the shift to the Lee Kong Chian Natural History Museum of the National University of SIngapore, an extensive inventory and maintenance on the collections of the Raffles Museum of Biodiversity Research will be conducted. In order to facilitate this, the museum’s collections will be closed to visitors and loans of specimens will be suspended. Users who have loaned out specimens are urged to return these before the stock-taking. The collections are expected to be accessible once again in Feb 2014 at the earliest. Undergrads – click to sign up!